The controversial badger cull in Gloucestershire is being abandoned after marksmen failed to kill enough animals to meet even drastically reduced targets, the Guardian can reveal. The collapse of the culling trial represents a humiliation for the government's policy as it means every target set has now been missed. Natural England (NE) will revoke the culling licence and the cull will end at noon on Saturday, three weeks earlier than planned. The cull, intended to help curb tuberculosis in cattle, was initially tasked with killing 70% of all badgers in the area in a maximum of six weeks. But just 30% were killed in that time, leading to an eight-week extension that was granted against the advice of the lead scientist on NE's board. A revised target of 58% was set but shooters have failed to kill enough badgers on any night and several night saw no kills at all. The extended cull was due to end on 18 December. The environment secretary, Owen Paterson, said previously he wanted to roll out the culls across the country, but will have to wait for the verdict of an independent panel of experts. The panel – which will judge whether the culls have been effective, safe and humane – said it would only consider the initial six-week periods of shooting in Gloucestershire and the other pilot cull in Somerset. Both areas failed to meet the target of killing 70% of badgers in the six weeks. The pilot culls were testing whether shooting free-running badgers at night could kill sufficient numbers of the animal to reduce TB in cattle herds. An earlier, decade-long trial found that culling could after four years curb TB infections by about 16%, but it used the more expensive method of trapping the badgers in cages before shooting them. 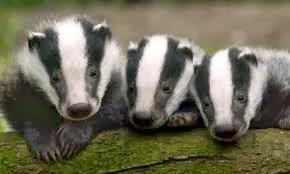 Those culls were also carried out quickly – within eight to 11 days – and experts have warned repeatedly that the much longer and less effective current pilots risk actually increasing TB, as fleeing badgers spread the disease more widely. Fantastic news that this crazy attempt to control the badgers has finally been stopped.